The Cambridge Clinical Reseach Centre in Affective Disorders (C2:AD) was established in 2009 to support research that improves understanding and treatment of affective disorders such as depression, anxiety, and post-traumatic stress reactions. The research emphasis is on the development and evaluation of clinical interventions for affective disorders that have a strong translational grounding in basic mind and brain sciences. See our projects page for some examples of studies currently taking place at C2:AD. C2:AD is a partnership between the Medical Research Council Cognition and Brain Sciences Unit (MRC CBSU), Cambridgeshire and Peterborough NHS Foundation Trust (CPFT) and the University of Cambridge. A core aim of the centre is to foster collaboration and synergy between NHS clinical practitioners and clinical researchers from academic departments. 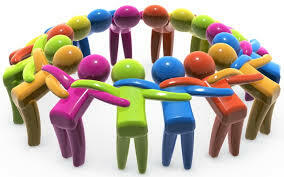 The centre therefore has a broad membership from across the clinical and research communities. A feature of the centre is the ability to support practising clinicians in bringing their own research ideas to fruition. C2:AD is committed to clinical research in affective disorders across the lifespan with projects in children, adolescents and adults. A particular emphasis is on continuities in the clinical presentation and treatment of affective disorders and in their underlying mechanisms across the traditional age boundaries. The centre provides support for MSc and PhD students working on relevant projects registered in the partner departments. Supervision is also available for Clinical Psychology Doctoral (D.Clin.Psych) research projects. A monthly seminar/workshop series is closely linked to CPD programmes in clinical psychology and psychiatry and is open to all. The centre director is Professor Tim Dalgleish. Professor Ian Goodyer is the scientific director and Dr Rajini Ramana is the Clinical Director. Dr Caitlin Hitchcock is the manager at C2:AD working with a number of Assistant Psychologists. See our people page for more details of C2:AD members.